ZydeFit challenges dancers and fitness enthusiasts of all levels to power through a full body workout designed to tone muscle, increase cardiovascular endurance, and improve coordination. ZydeFit features the spiciest dance moves of contemporary Zydeco, one of Louisiana’s most popular musical styles influenced by hip-hop, R&B, and soul. Our team of instructors are ready to take fitness to the next level! Want to become a certified ZydeFit instructor?Details coming soon! 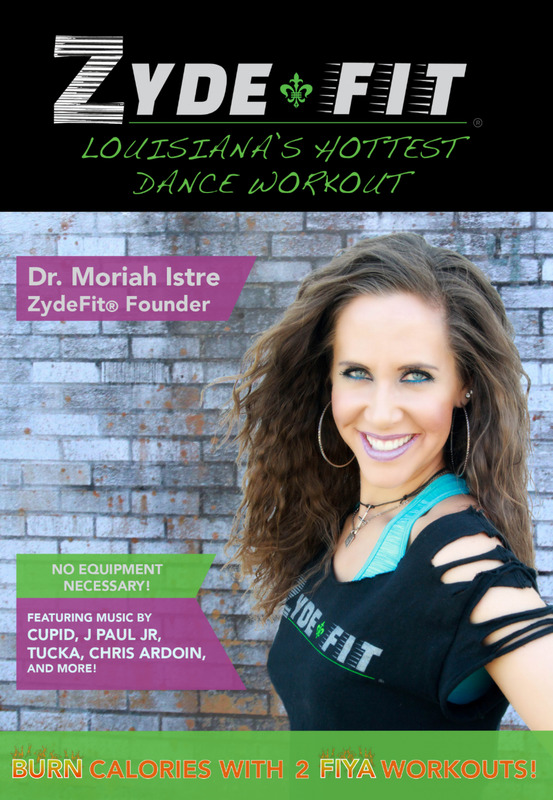 Get everybody up and moving — Louisiana style — at your dance studio, festival, health fair, or fitness event! We can acommodate all ages, fitness levels, and group sizes! Challenge yourself to keep moving outside of class with two energetic workout routines in one DVD. Each additional ZydeFit DVD is only $10.00! *All services paid through PayPal are subject to a 3% convenience fee. All sales are final.